An outbreak of ten cases of poliomyelitis caused by circulating vaccine-derivied poliovirus type 2 (cVDPV2) is ongoing in Pakistan, centered in the Kila Abdulla/Pishin area of Baluchistan. The same virus strain has spread to the neighboring Kandahar province in Afghanistan, where two paralytic cases have been reported. Vaccine-derived poliomyelitis is a well-known consequence of immunization with the Sabin poliovirus vaccine. There are three serotypes of poliovirus, each of which causes poliomyelitis. The three vaccine strains developed by Albert Sabin (OPV, oral poliovirus vaccine) contain mutations which prevent them from causing paralytic disease. When the vaccine is taken orally, the viruses replicate in the intestine, and immunity to infection develops. While replicating in the intestinal tract, the vaccine viruses undergo genetic changes. As a consequence, the OPV recipients excrete neurovirulent polioviruses. These so-called vaccine-derived polioviruses (VDPV) can cause poliomyelitis in the recipient of the vaccine or in a contact. During the years that the Sabin poliovirus vaccines were used in the US, cases of poliomyelitis caused by VDPV occurred at a rate of about 1 per 1.4 million vaccine doses, or 7-8 per year. Once the disease was eradicated from the US in 1979, the only cases of polio were caused by VDPVs. For this reason the US switched to the Salk (inactivated) poliovirus vaccine in 2000. Because VDPVs are excreted in the feces, they can spread in communities. These circulating VDPVs, or cVDPVs, can cause outbreaks of poliomyelitis in under-immunized populations. Examples include outbreaks of poliomyelitis in an Amish community and in Nigeria in 2009 caused by cVDPV2. Nigeria employed trivalent OPV before 2003, the year that this country began a boycott of polio immunization. Because type 2 poliovirus had been eradicated from the globe in 1999, when immunization in Nigeria resumed in 2004, monovalent types 1 and 3 vaccine were used. The source of the VDPV type 2 in Nigeria was the trivalent vaccine used before 2003. For many years the vaccine used by WHO in the global eradication effort was a trivalent preparation comprising all three serotypes. When type 2 poliovirus was eliminated, many countries began immunizing only against types 1 and 3 poliovirus. As a consequence of this immunization strategy, population immunity to type 2 poliovirus declined. This has likely lead to the emergence of cVDPV2 in Pakistan, together with poor routine immunization coverage. 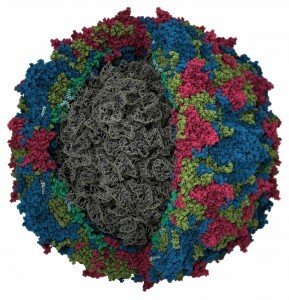 The resurrection of poliovirus type 2 highlights the difficulties in eradicating a pathogen using a vaccine that can readily mutate to cause the disease that it is designed to prevent. As wild type polioviruses are eliminated, the only remaining polio will be caused by the vaccine. If immunization is then stopped, as planned by WHO, there will likely be outbreaks of polio caused by cVDPV of all three serotypes. The solution to this conundrum is to switch to the inactivated vaccine until cVDPVs disappear from the planet. Exacerbating the polio situation in Pakistan was the murder in the past week of nine immunization workers in several provinces. The Taliban, which carried out the executions, accused them of being spies. This accusation originates from the CIA operation in 2011 in which a Pakistani doctor ran an immunization program in Abbottabad in an attempt to obtain DNA samples from the Bin Laden family. As a result of this violence, immunization campaigns in Balochistan have been suspended. Coupled with the previous refusal of many parents to have their children immunized, this action makes it likely that poliovirus will spread more extensively in the country, making eradication even more difficult. I know it’s become popular to blame the CIA’s “fake” vaccination campaign for this, but that steamrolls a complex situation into a too-tidy explanation. Actually, the Taliban’s statements have centered on US drone strikes as the excuse for the recent killings, not the CIA operation in 2011. It’s also probably not coincidental that the vaccinators they’re targeting are mostly women, whose authoritative roles in public health undermine the fundamentalists’ patriarchal dogmas. Regardless of the causes, though, it’s a sad situation. All I can think is that as a species we were able to walk away from smallpox and it pains me to know that as a biologist, a virologist, that we cannot eradicate polio because of political agendas. As a scientist I can only hope that human right will prevail and that we can all see that without the humans the other things wouldn’t exist. The drone strikes are a valid issue that we have to listen to. Also almost all the vaccinators are women anyway because it isn’t appropriate in these areas for men to enter the house and vaccinate children when with their mother.